Scientists’ simulations at Purdue University have undone the mystery of a new electrocatalyst that may resolve an important problem related to electrolyzers and fuel cells. 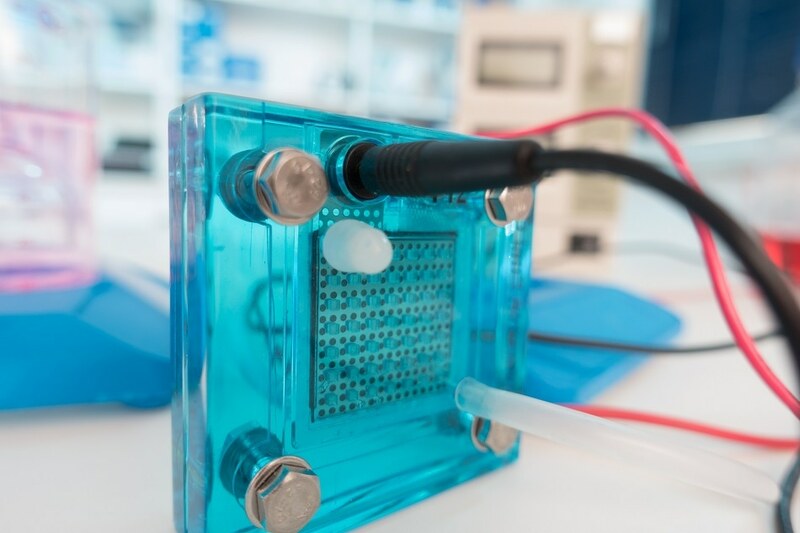 Fuel cells, which use chemical reactions to create energy and electrolyzers, which change energy into hydrogen or other gases, use electrocatalysts to stimulate chemical reactions. Electrocatalysts that can trigger such reactions are inclined to be unstable as they can corrode in the extremely basic or acidic water solutions that are used in electrolyzers or fuel cells. A research team led by Jeffrey Greeley, an Associate Professor of Chemical Engineering, has identified the structure for an electrocatalyst composed of nickel nanoislands placed on platinum that is both stable and active. This design formed properties in the nickel that Greeley said were unanticipated but very beneficial. The reactions led to very stable structures that we would not predict by just looking at the properties of nickel. It turned out to be quite a surprise. Greeley’s team and partners working at Argonne National Laboratory had observed that nickel deposited on a platinum substrate exhibited potential as an electrocatalyst. Greeley’s lab then began working to find out how an electrocatalyst with this composition could be both stable and active. Greeley’s team simulated varied thicknesses and diameters of nickel on platinum as well as pH levels and voltages in the cells. They were able to create the conditions they wanted by placing nickel only one or two atomic layers in thickness and one to two nanometers in diameter. They’re like little islands of nickel sitting on a sea of platinum. The ultra-thin layer of nickel is crucial, Greeley said, as it is at the point where the two metals meet that all the electrochemical activity happens. And as there are just one or two atomic layers of nickel, virtually all of it is reacting with the platinum. That not only forms the catalysis required, but alters the nickel in a way that preserves it from oxidizing, thus providing the stability. Research partners at Argonne then examined the nickel-platinum structure and established the properties Greeley and his team believed the electrocatalyst would have. Going forward, Greeley plans to analyze similar structures with different metals, such as substituting platinum with gold or the nickel with cobalt, as well as altering voltages and pH. He is certain that other more stable and active combinations could be found using his computational analysis. The research was supported by the U.S. Department of Energy. The paper was published in May by the journal Nature Energy.